FREE VALUATION. To buy, auction, sell or consign your Christmas Carol 1st edition that is for sale, please email Nate@NateDSanders.com or call the Nate D. Sanders Auction House (http://www.NateDSanders.com) office at (310) 440-2982. Charles Dickens’s A Christmas Carol is the timeless story of Ebenezer Scrooge who is transformed during the holiday season from a miserable grump to a warm-hearted soul after being visited by ghosts who help him see life from a new perspective. The novella was first published in 1843 yet has remained culturally relevant for over 175 years. The story has been adapted numerous times in the forms of theater, film, television, radio and opera. 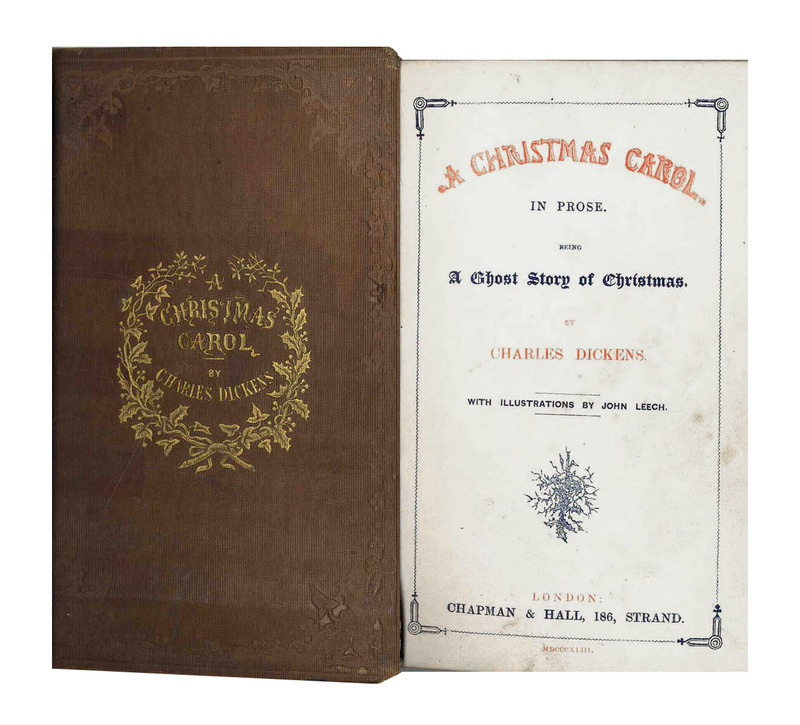 We sold a Christmas Carol 1st Edition at auction for $2,281. Please see lot details below. Lovely first edition, second printing of “A Christmas Carol,” scarce in its original brown binding. Published by Chapman & Hall: London: 1843. With all four color engravings by John Leech present. 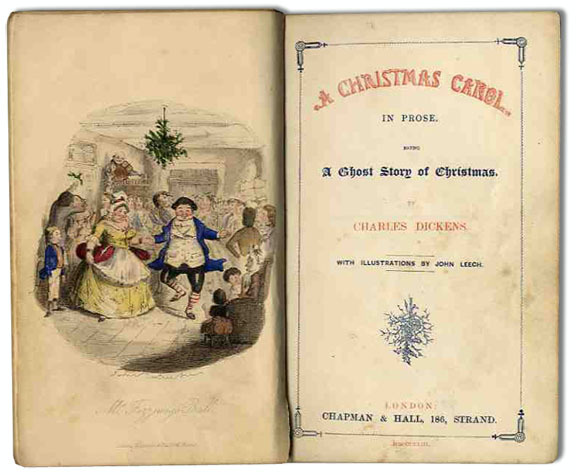 A remarkably well-preserved copy of Dickens’ classic holiday tale of redemption and grace, peppered generously with his satirical wit. Book has been gently read and is in very good condition, with binding somewhat cocked and light wear to spine and boards; internally, book is very sound. Overall, an attractive and nicely presentable copy. Sold for $2,281. Rare First Edition of Charles Dickens Classic, “A Christmas Carol” — in Original Binding. Click to enlarge.